Ach du lieber! My life is in tatters! First we had the matter of the astronomical gas bill. Howard said it is because I keep the hot water so hot. We had this discussion yesterday. "But I need the hot water hot," I said. "Well, I mean, it's scalding," he said. "It is not," I said. "It's just hot." Imagine coming home to a house with tepid water. I would hate that! That is what it is like at my mother's. Perhaps when I turn 70 the Old German Woman Gene will kick in and I will automatically lower the temp on the hot water heater to match my age. But for now, I need that hot water. If yesterday we saw the wages of my hot bath habit, this morning I must confront the wages of going around with the great pianist Leonard Pennario living in my head. I am serious. You go around with your mind a million miles away and things happen to you without your knowing it. What has happened now is my M&T checking account is a mess. I cannot quite explain what happened because I have always kept close watch on it. Well, I thought I kept close watch on it. I guess I actually do not keep a close watch on anything other than Pennario and, once in a while, my wine cellar. I have never bounced a check before in my life! Howard said: "This kind of thing happens. Don't worry about it." He said: "Don't open the mail before you go to bed." I am lucky to have married someone this cheerful and calm. It would be terrible if I had married someone like myself. The problem was my Macy's Visa card. I have this Macy's card which I am now going to close out. They email me the statements and I cannot understand them. I am normally good at this stuff. But the card sends me statements and Macy's sends me statements and they overlap or something. And there is no one to hear you scream, because if you call the number on the card you wind up with people who are very nice but do not speak English. So I believe I have wound up paying twice. Here is how ridiculous the situation is. Right now I have prepaid over $3,000 on my credit card! They told me I could get a refund check so, uh, yeah, that is probably what I should do. Because the money that should be in the checking account is now on my Macy's credit card. Pennario had a Macy's Visa card, too. Like me, he used to wonder how he ended up with it. Neither of us knew how exactly it happened. We never even shopped at Macy's. But there we were, with our Macy's credit cards. His Macy's card drove him crazy, too. Eventually Pennario cut up his Macy's card. I should have done likewise. One thing I noticed being around Pennario was that you rarely went wrong doing what he did. But I did not cut up my Macy's card. Now I am seeing the wages of that. How did I end up talking about Pennario? I started out talking about my gas bill. The same thing happened to me with a Macy's credit card! What the heck are those people doing? I had 2 late fees in one month! I have never had a late fee in my life and I am no spring chicken. Called them too, got a non-English representative. 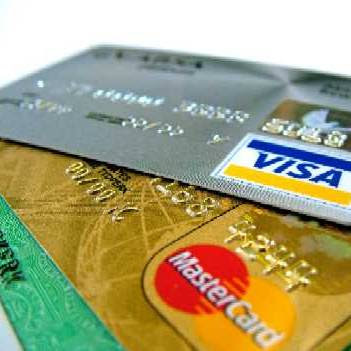 He explained that every time you use your Macy's Master Card, anywhere, you will be billed individually for that transaction, meaning you could realistically get numerous Macy's bills per month all payable on different dates. I told him that was totally ridiculous, thanks but no thanks and proceeded to cup up 2 Macy' cards. One was my store account card and one was a Master Card! I activated the Master card thinking it was my new store card. That was a REAL lesson in reading the fine print. What a joke. Wii, Wii, Wii ... weakling!